Generate evidence-based guidance and innovative solutions to strengthen in-country diagnostic networks and surveillance systems. We are seeking an AMR Advisor to be based in Tanzania, to provide technical expertise for the implementation of AMR activities in Tanzania as well as coordination with other project team members and partners who undertake AMR specific diagnostic and surveillance strengthening activities. The AMR Advisor will work closely with USAID/PATH Tanzania to provide leadership on national AMR surveillance strategies and represent the IDDS project in country. This position reports to the IDDS Tanzania Team Lead. This position operates under the management and oversight of the IDDS project senior management team, led by the IDDS Project Director. Provide technical assistance to strengthen Tanzania AMR detection and surveillance activities across human, animal, and environmental sectors. This may include monitoring antibiotic resistance patterns, usage and management practices. Support the development and review/implementation of national AMR plans (NAPs), SOPs and policies at the national, regional, and local level. Conduct multi-sectoral assessments of Tanzania’s AMR detection and surveillance capacity in both the public and private sector. Support the development and implementation of initiatives to improve AMR detection and surveillance capacity. Assist in the establishment of national AMR surveillance systems that are capable of monitoring AMR trends and reporting to global surveillance systems (e.g. WHO GLASS). Work closely with the IDDS team to define and adjust annual work plans as well as implementing those technical activities. Provide technical writing inputs, documentation of project activities, and support monitoring and evaluation of AMR activities to the IDDS Tanzania and headquarter team. Work closely with Global Health Security Agenda partners, regional and country Technical Leads and other stakeholders to ensure a coordinated approach to project implementation. We are seeking a Surveillance Team Lead to be based in Tanzania, who will be responsible for technical direction and overall management of IDDS activities in Tanzania as well as coordination with other project team members and partners who lead specific activities. 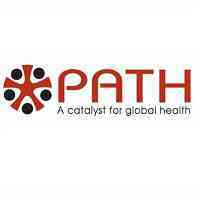 The Surveillance Team Lead will work closely with USAID/PATH Tanzania to provide leadership on national disease surveillance strategies and represent the IDDS project in country. This position reports to the Global IDDS Surveillance Lead based in Seattle, USA. This position operates under the management and oversight of the IDDS project senior management team, led by the IDDS Project Director.